It’s finally springtime, which means we’re ready to get outside and hit the road as much as possible. 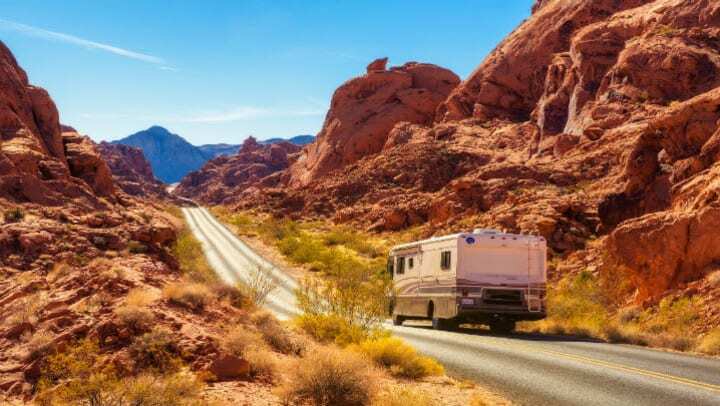 But if you’re waiting on warmer days to go camping or take that road trip, there are a few quick things you can do now to get your RV or boat prepped. Here at StorQuest, we’ve put together some easy hacks to make sure your favorite outdoor toys are ready for adventure when you are. Restock the cupboards with your favorite nonperishable snacks so you’ll have fewer things to shop for before your next trip. Roll down your blinds. This both cools the internal temperature of your RV and keeps the sun off the interior fabrics, so they don’t fade. Close and secure all windows. If you’re confident it won’t rain until your next adventure, consider opening the vents to create some airflow. Place a cover over your tires to avoid wear from the sun. Empty and disinfect the fresh-water tank. Empty and flush out the black and gray tanks well. Completely drain and turn off the hot-water tank – this helps keep everything fresh while you’re away. Use a wheel block behind each of the tires for added support. On your way back, fill up the gas tank! Next time the waves are calling, you’ll be able to get out on the water that much faster. Make sure all valuable items are removed. Double check the compartments under the seat, the glove box, and anywhere else stuff might be hiding. If your life jackets are still wet, bring them home and let them air out instead of putting them back in the boat wet. Keep an eco-friendly cleaner and a few old rags on board. Once you park and unpack, give the seats and interior a quick wipe down to keep everything fresh. Invest in a boat cover to add an extra layer of protection from the elements. At StorQuest, we know that we can’t be hitting the open road or cruising on a boat every day – although we’d love nothing more! So when you’re at work instead of out on the water, know that we have your back with our reliable RV and boat storage. Look for the location nearest you to start storing with StorQuest.